In 2014, when Phil and Russell set out to start a new brewery, we settled on a contract brewing model. In Idaho at the time, several contract brewing relationships were established and thriving, and we expected to get right into doing business with this well-traversed business model. 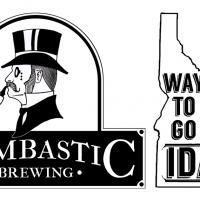 While we were getting our plans in order, Idaho tweaked one of it’s beer related laws at the behest of distributors, and the state began to interpret the new text in a way that prohibited contract brewing. It took a while to figure out that they had done this, but with the help of great pioneers in the Idaho beer industry we were finally able to track down the cause of this issue. We joined with Idaho Brewers United, the state’s fantastic brewer’s guild, and worked for a change to the law to permit contract brewing. As of March, 2019, the bill has passed, and the law is set to take effect in July, finally allowing us to pursue a contract brewing model. This raises the question, what is contract brewing, and why would this be important. Also known as gypsy, phantom, or virtual brewing, contract brewing is an idea that isn’t new by itself. Sam Adams began this way and stayed in this model for a long time during their startup. Craft beer geeks will recognize Mikkeller and Evil Twin as excellent examples of gypsy brewers putting out excellent beer. The basic idea is that we can concentrate on developing a recipe for an incredible beer on a small scale, and then work with partner breweries to produce larger batches of popular beers. 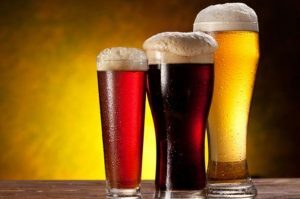 Who benefits from contract brewing? Bombastic Brewing’s view is that contract brewing is a virtuous cycle that can benefit everyone in the beer loop, as long as it’s done with sound principles adhering to fundamental values. First, the consumer. Through contract brewing we can deliver beer to you that was brewed as close to you as possible, rather than shipping it long distance, to keep it as fresh as possible. Second, the brewery making the batches of beer. In 2014 there were 3,785 breweries in the U.S. Now there are over 7,000. That means there are a lot of people who have bought a lot of expensive brewery equipment, and some of them have excess brewing capacity that is going unused. By brewing Bombastic beer, they can help pay for their equipment, and in some cases upgrades. Third, the brewers. 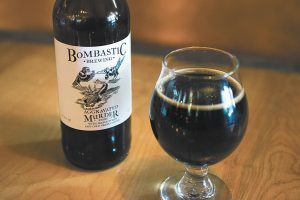 Bombastic Brewing is about producing the best beer we can. To do that we are working with multiple brewers to bring their delicious recipes to market. You’ll notice the brewer’s autograph on our bottles. Through contract brewing we can free creative brewers to design and perfect recipes, while we get larger volumes produced with our partners. Fourth, the earth. By working with breweries local to you to produce the Bombastic beer you love to drink, we can reduce resources used to bring it to market. Savings on fuel and other resources for beer and beer rep traveling helps the environment. To sum up, the entire Craft Beer community benefits from Bombastic Brewing’s contract model. Our #1 goal is to build up, invest in, and grow the craft community. We love the values of inclusiveness, generosity, and fun that craft beer embodies, modeled in the actions of its fans, and it’s breweries. If this sounds good to you and you’d like to be part of this, start by joining our email list below. This is our primary method to communicate with our community and keep you informed of what’s going on with Bombastic Brewing. How do I get Bombastic Brewing beers? 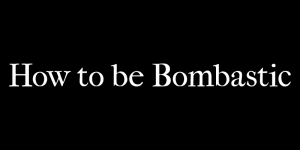 Bombastic Brewing is a very new, very small brewery producing high quality beer. In order to get our beer, join our email list where we will inform you of how to get our beer as it becomes available.